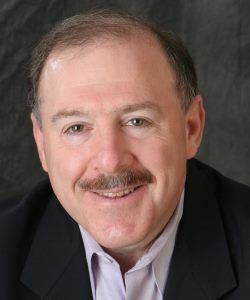 Bruce Katcher, Ph.D. former president of the Society of Professional Consultants, and author of the American Management Association's book, “An Insider’s Guide to Building a Successful Consulting Practice" will be talking about how you can jump start your consulting business. Don’t miss this webinar! Great way to get yourself motivated for 2018! There is no charge for ACE members and a small charge for non-members. Please register so we have an idea of how many attendees to expect and so that you will receive login details. Bruce Katcher is an Industrial/Organizational Psychologist and president of Discovery Surveys based in Wellfleet, MA. He specializes in conducting customized employee engagement and customer satisfaction surveys. He has surveyed more than 90,000 employees in more than 100 organizations. He received his Ph.D. from the University of Maryland and then worked for The Wyatt Company, an international consulting firm, for 4 years. He founded his own boutique consulting firm 24 years ago. As an independent, Bruce has consulted to more than 100 organizations including Alcoa, BBN Technologies, Delta Dental Plan, Dunkin’ Donuts, Johnson & Johnson, the Mayo Clinic, Olympus, Revlon, Sodexo, Sprouts Farmers Market, Textron, Timberland, Tufts University, Velcro, and W.R. Grace. His award-winning book, “30 Reasons Employees Hate Their Managers” and his book, “An Insider's Guide to Building a Successful Consulting Practice,” were both published by the American Management Association. Bruce is an ardent proponent of self-employment and provides individual and group coaching for aspiring and experienced consultants. He is a former president of the Society of Professional Consultants in the Boston area. In addition to his consulting work, Bruce is a realtor on Cape Cod associates with Keller Williams Realty.